Where is Pirates and Princesses happening? 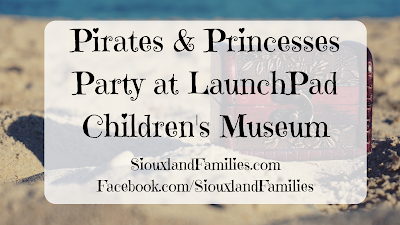 Pirates and Princesses is happening at LaunchPad Children's Museum in Sioux City, Iowa. LaunchPad is located at 623 Pearl Street in downtown Sioux City, just a few blocks from I-29 and the Missouri River. What is Pirates and Princesses at LaunchPad Sioux City? What is the LaunchPad Children's Museum Treasure Raffle? 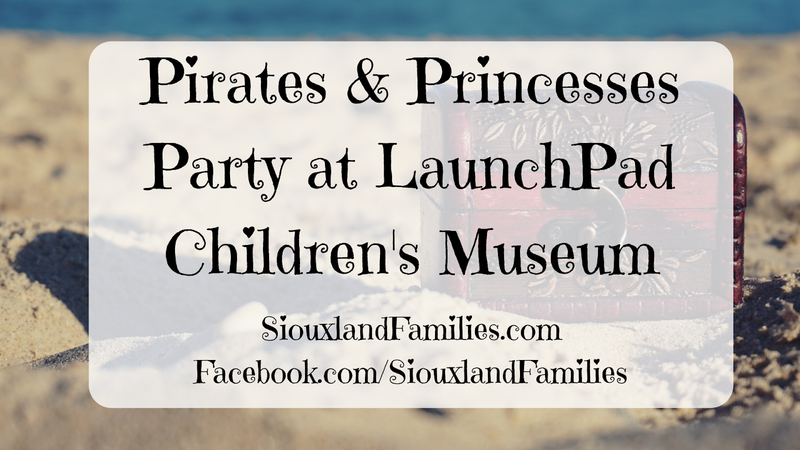 The LaunchPad Children's Museum Treasure Raffle is a fundraising raffle for LaunchPad Children's Museum that continues the pirates and princesses theme! Both attendees and people who are not attending the Pirates and Princesses Party can purchase raffle tickets for the Treasure Raffle. Tickets are one for $25 or 5 for $75, and you choose which prize you want to enter for with each ticket. Prizes include food, shopping, travel, wine, golf, photography, and even a private party at LaunchPad for you and 100 friends and relatives! You can check out all the prizes at the Treasure Raffle page on the LaunchPad Sioux City website. How do you get tickets to Pirates and Princesses at LaunchPad Sioux City? Want to know more about LaunchPad Children's Museum?